Some children find it tough fitting in at preschool as they find themselves in a classroom setting for the first time. Here are some practical tips on how you can help. Sending your little one to nursery or childcare for the first time is typically a stressful affair. This is very often true for the child, and perhaps even more so for the parents. It’s wonderful when children are able to settle right in with little to no teething problems. But if things aren’t smooth-sailing from the start, going to school may even become a painful daily struggle. 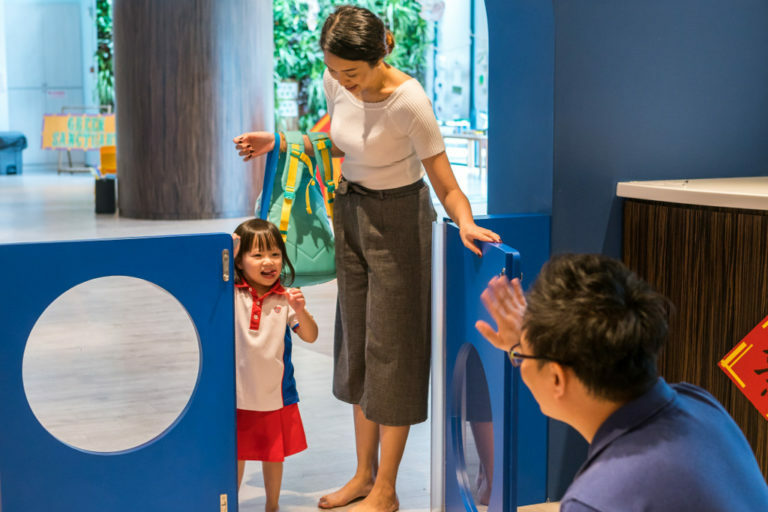 To find out how best to transition our toddlers from home to preschool, we chatted with Lead Centre Principal Doris Goh and Senior Centre Principal Cindy Lee of PCF Sparkletots preschool at Bukit Panjang Blk 422 and Yuhua Blk 233 respectively. They shared some tips for parents on how to nip problems in the bud. What are common problems children face when starting nursery? Separation anxiety is the most commonly seen issue. The little ones are leaving the comfort zone of their homes and families often for the first time. Children at this age may struggle to fit into a new and unfamiliar environment. Some children become withdrawn due to insecurities and a lack of confidence. They may refuse to participate in any classroom activities and social interactions. Others may constantly seek attention from their teachers at this stage. They’re often looking for validation, or they’re simply more used to finding comfort in adults. They may also find it difficult to follow instructions and settle into the classroom routine. Childcare and nursery classes usually involve scheduled nap times, bath times and meal times. Children may not be exposed to the same structures and rules at home, and thus find it confusing. Some may not understand the concepts of sharing toys, taking turns and working in groups with other children. This is especially true if they are the only child at home. How do I know if my child is struggling at school? What are some tell-tale signs? Obviously, if your child consistently refuses to go to school or enter the classroom, that’s a clear sign that something is wrong. You may also face resistance at bedtime on school nights. After all, if you say they need to go to bed because they must wake up for school in the morning, it stands to reason – at least in their young minds – that if they don’t go to bed, then they don’t have to get up for school, right? As a parent, I was initially very sad, disturbed and stressed when my children acted up and cried badly when we arrived at school. However, the school gave me the assurance that my girls would be in good hands. Oh no! My child exhibits these tell-tale signs. Where have I gone wrong? Don’t worry, it’s not your fault. No two children are alike, and every child handles situations and learns to cope in diverse ways. Of course, it is natural for parents to feel worried when they see their child having difficulties. However, it’s important to take a chill pill and understand that this is a normal phase that children go through. Worrying too much will just lead to your child picking up on your stress levels – which only makes everything worse! In fact, sometimes it’s the parents themselves who may not be mentally prepared to let go. When a child cries, clings onto you and refuses to go with the teacher, very often the parent is crying too. Adults aren’t immune to separation anxiety, but you can’t help your child if you don’t manage your own emotions first. Just relax! So how can I help my child work through this sticky phase? Speak to your child’s teachers and learn more about what’s been going on at school. The more you know about your child’s programme, the more reassured you are. And the better you can help the little one adapt. In return, share information about your child with the teachers. This way, they are more aware of your child’s specific needs, likes, dislikes, interests and concerns. Help your child adjust to the changes in routine by implementing a similar schedule at home. Follow through as much as possible, even on weekends. Be excited about the new milestone and exhibit that sense of wonder and adventure to your child. Excitement and enthusiasm are contagious – you want to infect your child with that same joy. Above all, stay calm. 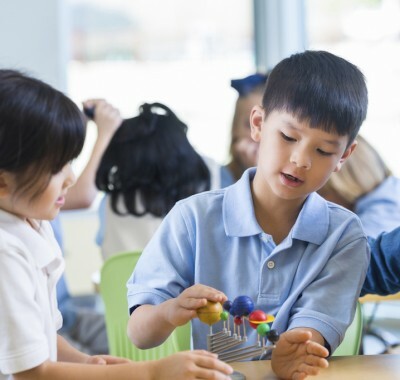 Believe that your child will be able to adapt and settle into preschool life soon enough. You may be surprised at how it could go from super-sad to super-duper almost overnight! Better still, how can I help my child avoid such problems in the first place? Develop a trust-based relationship with your child. This is the most important thing, as this helps to ease separation anxiety. When your child trusts that you will return at the promised time, they will be more willing to let you go. Of course, don’t betray that trust – be sure to be back on time! Expose your child to group play by bringing them to community events or the neighbourhood playground. Increase socialisation activities with other children and encourage them to practise sharing. Get them mentally prepared by visiting the school together. While you’re there, walk and talk them through the daily routines and activities. Assure your child that the teachers will be there to see to their needs. Now they can visualise their school day, which makes it less daunting. When you first meet your child’s teachers, kick start a parent-teacher partnership based on trust and sharing. Seek clarification when you have doubts, no matter how trivial they are. This will help both sides best support your child’s learning and development. Continue to discuss with your child what will happen on the first day of school in detail. This creates predictability about what will occur and thus reduces unnecessary stress. Ask them questions such as “What should you do when you need to go to the toilet?” so that you know if they’re prepared. Communicate with your child about new and exciting experiences they can expect. This can range from what they can learn about at school to making new friends and having fun on excursions. 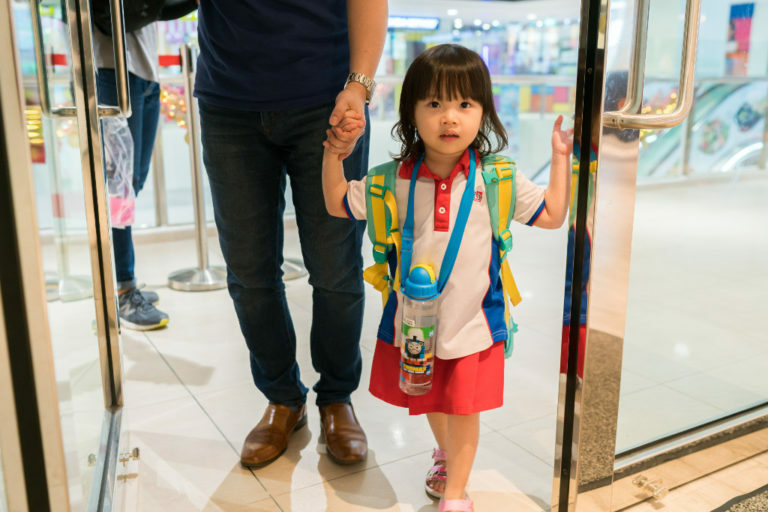 If need be, accompany your child on the first few days of school to help them adapt to the different routine. You can also role-model the importance of going to school while going along! Cheerfully introduce new friends to your child – this can be done jointly with the teachers. This will help them feel comfortable with their classmates and enjoy socialising with them. Children are like flowers that do not blossom overnight. Nurturance, individualised attention, assurance and partnership with families will help build trust and create a sense of belonging for children. 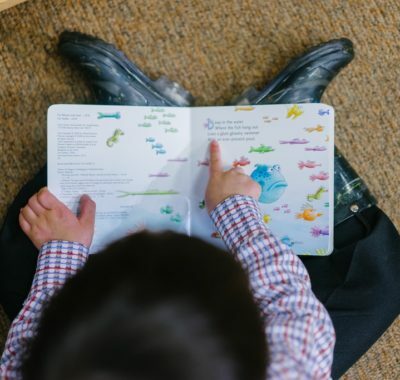 For best results, helping children settle into preschool must be a collaborative effort of both parents and teachers. So remember, be positive! 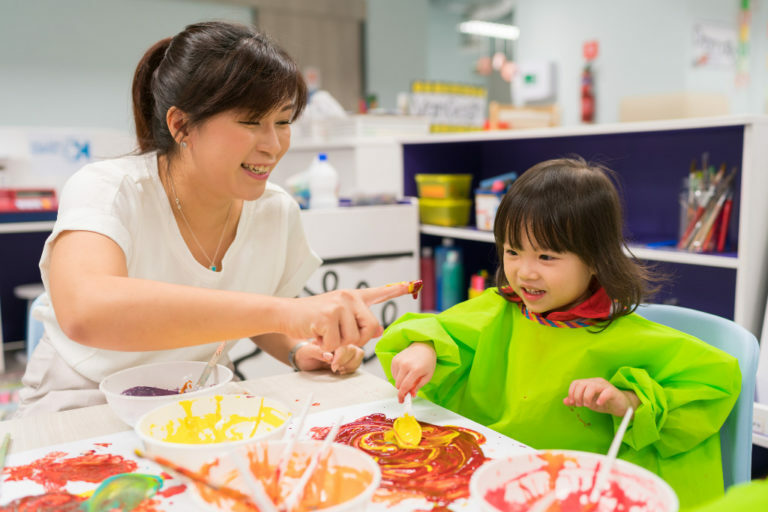 Fitting in at preschool takes time and understanding for both parents and children. 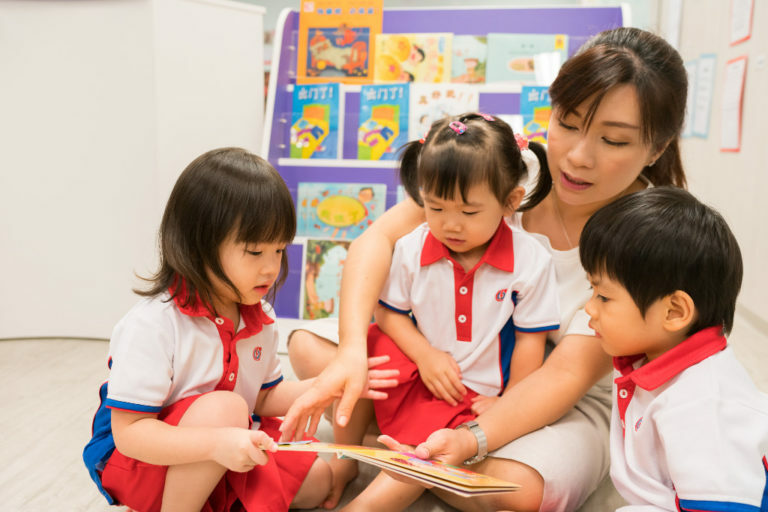 Work together with the teachers and get your child involved, forming a strong tripartite bond to support your child in their learning process. The rest will work itself out, and one day soon you’ll look back on this time and chuckle!